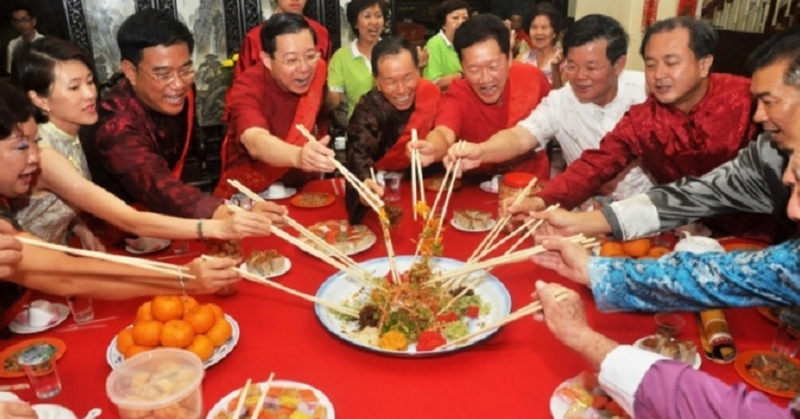 With Chinese New Year being just days away, have you made your dinner reservations for your reunion dinner? You wouldn’t want to be known as “the person who forgets,” would you? Quick! Take a look at this top 5 personal picks down below and choose something that’s right for you and your family! Tired of the same old coffee shop setting? Crank your budget up to 11 and enjoy a modern Chinese New Year meal at the St Regis Kuala Lumpur with inspired twists on traditional Chinese New Year dishes such as a salad inspired yee sang, you’re bound to be in for a good time! For enquires, email dining.kualalumpur@stregis.com or call +603 2727666. I don’t mean going to Shanghai, but you should go to Shanghai. JW Mariott’s Shanghainese restaurant that is! With tasty meats such as braised Spanish pork to the more traditional steamed cod, what better way to top it all off than with a traditional rice with Chinese waxed meats and all of this can be gotten from their a la carte menu as well! For enquires, email shanghai@ytlhotels.com.my or call +603 2718 8288. How about having a celebration in the lovely Mandarin Oriental Hotel? With Lai Po Heen sitting comfortably at Level 1 of the hotel, the restaurant offers a few Chinese New Year set menus for both lunch AND dinner! With a minimum requirement of four diners though, and each set comes with a yee sang and four to six main courses depending on your choice. Imagine having a spectacle view of the Twin Towers and KL skyline as you enjoy your Chinese New Year, that’s all possible with THIRTY8’s festive menu that even includes a jellyfish yee sang! (I mean, they also have salmon la but jellyfish more onz ma) Dig into a lovely steamed grouper, wok-fried lamb rack served with other dishes and of course, glutinous rice! There is a minimum requirement of 4 diners though, so you know what to do lah. If you don’t, refer to THIS article. You’ve heard of dmingthing (hi bro! ), you’re heard of Ming Room but what if I told you that there was a Tang Room located in Starling Mall that serves delicious Chinese New Year dishes? With a special White Truffle yee sang that you can choose to get, to the Tang Room’s declious Grilled Iberico Pork Neck, you’ll find something fit for everyone! Nasi McD- Is It Worth The Price?